Porcini mushrooms are so often used in the Italian cuisine and not so easy to get fresh. 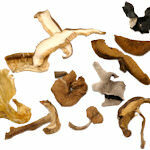 They have an earthy flavor and are a wonderful mushroom in soups, sauces, stews, risotto, quiche, stuffing etc. 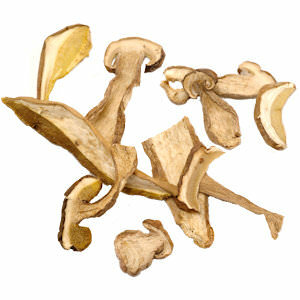 Dried Porcini mushrooms are a great alternative as you can stock them in your pantry and use whenever you need. Rinse the mushrooms thoroughly in lukewarm water, then place into a small bowl and fill with hot water. Allow to soak for 20-25 minutes and drain. You can filter the liquid and use it, as it is full of flavor and will greatly enhance any recipe or broth. The drying process intensifies the flavor of the mushrooms and because they are dry, they can be kept for a relative long time, which makes them readily available and for every day use.